Friends, we here at The Queensboro do not support the practice of immigration authorities splitting up the families of people trying to enter the United States. It's clear to us that families need to remain together, so we are working to try to end this. 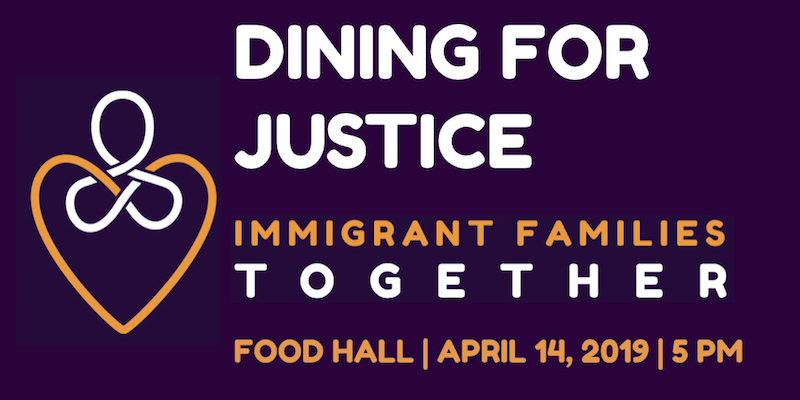 To that end, we're proud to once more take part in a fundraiser for Immigrant Families Together, in an event called Dining for Justice. Buying a ticket to the April 14th event gets you unlimited access to 25 chef, beer and wine tasting stations, and live music from Seth Goldberg and MG4. The chefs and restaurants are mainly Queens based but some come from as far as New Jersey, Philadelphia and Virginia. Please buy your tickets now, and we hope to see you there!